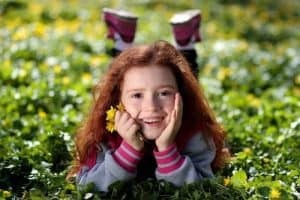 Once they reach the one decade mark of their life, the developmental needs of your 10-year-old become far more complex than when they were younger. This is because they’re entering the stage of early adolescence, so many of the toys that she enjoyed when she was a little girl may no longer capture her interest at this stage. In this period of transition, it’s important to really get toys and gifts that can help her grow into the young lady that she’s meant to be. These toys should be able to help further her intellectual and cognitive development, strengthen her mastery of her motor skills, and keep her social and emotional skills at par with the changes she’s currently facing and is about to face as she becomes a teenager. Tea parties have become part and parcel of a young lady’s transition to childhood. 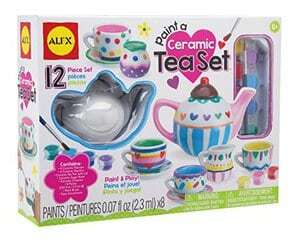 It teaches etiquette and is a really great way to foster social relationships, and this is why this Paint a Ceramic Tea Set by ALEX Toys is a pretty cool gift to give a 10-year-old. This comes with a teapot, 4 sets of teacups and saucers, as well as a sugar bowl and creamer. Your 10-year-old can then make this set her own by using the paint that comes in the package and designing it herself. What's Great About It: This is made of high grade ceramic materials, so it will serve you for more than several tea parties and last the test of time. 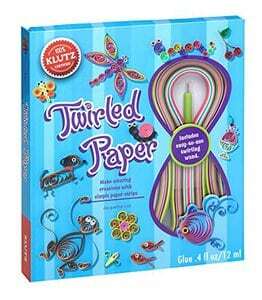 With this Twirled Paper craft kit by Klutz, you’ll never look at paper the same way again. Quilling is a really great art form that women have turned to for years and years, so it’s almost a guarantee that your 10-year-old budding artist will enjoy working with this. Basically, the kit contains over a hundred paper strips in different colors, and she can create wonderful masterpieces that she can be proud of. What's Great About It: This kit comes with a detailed guide book, so she will have clear instructions to guide her every step of the way. With the help of the guide book, she can use the kit to create 30 artworks. Creating her very own art materials and tools is something that 10-year-old girls will enjoy, because it gives her a sense of accomplishment and ownership, at the same time boosts her creativity. 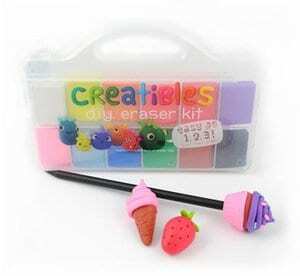 This Creatibles DIY Erasers from International Arrivals helps her do just that, making her work with soft clay that she can mold into the shapes of her choice. What's Great About It: This kit is very easy to use, and the pliable clay comes in many different colors that she can shape into whatever she wants. What’s great about this is that she can really use the erasers as well, so it’s play with a purpose. 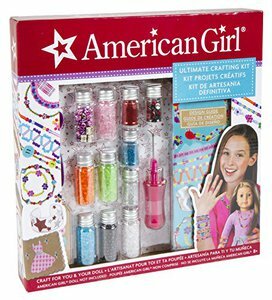 American Girl’s Ultimate Crafting Kit gives your 10-year-old all the materials she would need to create all kinds of wonderful craft projects. With different kinds of beads, multiple sized bottles, twines, spools, elastic cords, embroidery floss, and other materials, she can easily create beautiful accessories for herself and her American Girl doll. What's Great About It: This kit has so much variety when it comes to the art materials included, and that really gives your 10-year-old a lot of room to unleash her artistry and creativity. There’s practically no limit in terms of what she can create, so she’ll certainly have fun with this. There’s nothing that seals a great friendship better than a friendship bracelet. 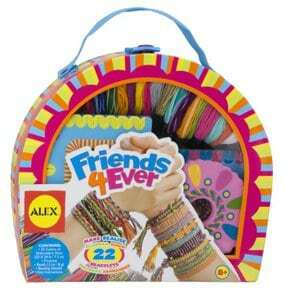 This Do-it-Yourself Wear Friends 4Ever Jewelry kit by ALEX Toys gives your 10-year-old enough materials to make enough friendship bracelets to give to all her close friends, and it’s a really great toy to bring out her creativity as well. What's Great About It: This has some wonderful variety for her to work with, and that’s important because her different friends will have varying tastes. She’ll get to work with 22 colors of embroidery floss and 4 color-coded rooms, to start with. Also, she gets a convenient carrying case to keep it all together. 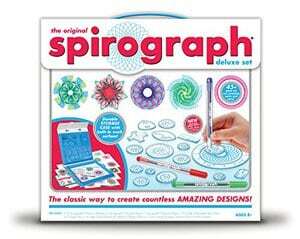 Like the original one from a long time back, Spirograph Deluxe Design by Kahootz allows young girls to really practice their artistry and create beautiful geometric patterns that are difficult to forget. It gives you a 45-piece design tool to work with, accompanied by a guidebook that’s fully detailed and illustrated. What's Great About It: The spirograph has always been a unique crafts kit and the designs you can create with this one are of a quality and kind that you can’t create with any other. That in itself makes this unique, but this particular set comes with all the right pieces so your design possibilities are maximized. 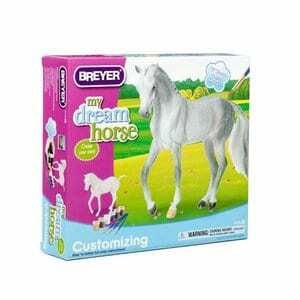 Breyer gives your 10-year-old the ability to design her own dream horse, and that makes this one of the most unique craft kits you can get. With 2 realistic horse figures to work with, she can make full use of the brushes and paints that come in the kit to make her very own dream horse figures. That means she will have full control over what they’ll look like, and she can definitely practice her creativity in that sense. What's Great About It: This kit is really useful in training your 10-year-old to focus, and of course the end product is pretty amazing. 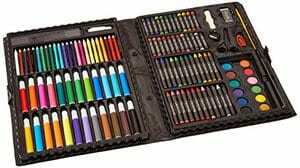 Neatly packaged in a sleek, black carrying case, this 120-Piece Deluxe Art Set by Darice is everything your 10-year-old will ever need to start creating the masterpieces that showcase her creativity and talent. If your girl is artistically inclined, this set is practically a piece of heaven because it comes complete with pencils, pastels, watercolors, and all sorts of materials. What's Great About It: All the art supplies that are contained in this kit give your young lady multiple mediums to work with, and that gives her the ability to maximize her creative pursuits. 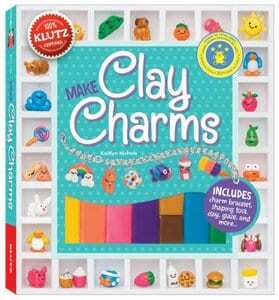 The Make Clay Charms Craft Kit by Klutz is everything your 10-year-old will ever need to make her own charms and accessories. It teaches the valuable lessons of creating something beautiful from scratch, and has materials and tools like the molding clay itself, a clay shaping tool, charm loops, the charm bracelet, and many others. What's Great About It: The molding clay comes in 9 different colors, so your 9-year-old will have a lot of variety and freedom in the charms that she will be able to create. While there’s a lot of room for her own creativity, there’s also a colorful instruction book to guide her along. At one point in their lives, the best fashion designers had to start by dreaming, drawing, and designing their thoughts. This kit helps your budding designer gets started by giving her all the fabrics and tools she will need to make her own fashion masterpieces. 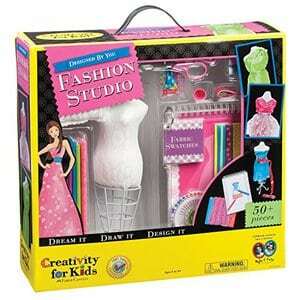 The Design by You Fashion Studio from Creativity For Kids is something your budding designer will surely enjoy. What's Great About It: While she can always use her designs and fabrics on her existing dolls, this kit also comes with a dress mannequin so she can use that like a true designer will. It also comes with a guidebook and sketch book to make her life easier. 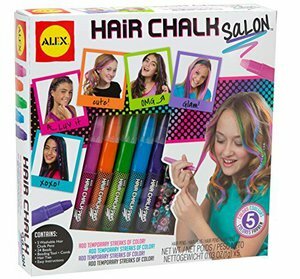 ALEX Toys very well knows that 10-year-old girls are at that exciting stage of self-expression and discovery, and this Spa Hair Chalk Salon Craft Kit gives them the ability to be as unique as they can be. It’s incredibly easy to apply (and remove), and aside from the hair chalk pens in 5 different she will also get a hair beading tool and many beads to work with. What's Great About It: This kit gives your 10-year-old the chance to style her hair all she wants without worrying about a tinge of chemicals and other harmful materials. Now the Hair-styling Tips and Tricks by American Girl Editors isn’t exactly a toy, but it’s still a wonderful gift that any 10-year-old will surely enjoy. 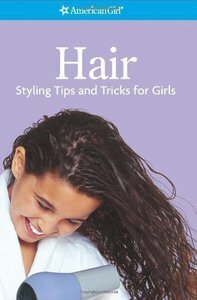 It contains everything she needs to know about styling her hair, so it’s a great way to teach her lessons that she will value (and definitely use) for the rest of her life. What's Great About It: Managing hair can be tricky, and there are hairstyles that are really quite difficult to teach. This gift makes it so much easier, because all the instructions are not only descriptive and colorful, they’re really easy to follow. When you’re learning complex scientific concepts in school, it’s so much easier to zone out. The difficulty of the subject almost takes away the fun that science can and should be, and that’s what this Big Bag of Science Be Amazing! Toys is bringing back. With all the tools she’ll need for multiple scientific experiments, she can practice what she has learned in school over and over again, at her own pace and with a whole lot of fun in the mix. 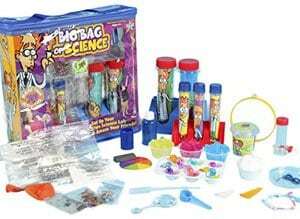 What's Great About It: They’re not kidding when they say “big bag” of science, because this one really contains so many of the materials and tools that anyone could ever ask for. They’re of pretty high quality to, so this is certainly not your ordinary ”toy”. Working with microscopes is one of the most fun parts of science, and that’s exactly what you’ll get with Nancy B’s Science Club Microscope and Activity Journal by Educational Insights. Far from being a boring and undesirable device, your young lady’s microscope can introduce her to a whole new world – with its ability to magnify up to 400x. 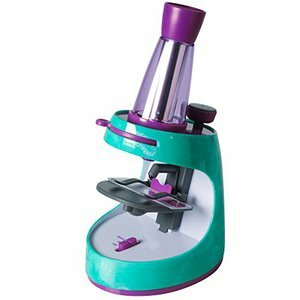 What's Great About It: This works as both a light microscope and dissecting microscope, so your child will really get to appreciate the full wonders of science with this easy-to-use tool. The activity journal is also handy because it trains your 10-year-old to jot down her scientific observations. Baking is one of the greatest joys in life, and this Ultimate Oven Baking Star Edition from Easy Bake will help your 10-year-old discover that. It’s a great starter kit for any beginner baker, because it’s an actual mini oven that she can use to create all kinds of delectable goodies. So she’s not just constrained to imaginary play per se, because there’s nothing imaginary about this. 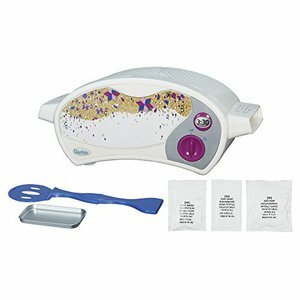 What's Great About It: Aside from the mini oven itself, this set also comes with a baking pan, baking tools, a chocolate brownie mix, and a vanilla frosting mix. Once she runs out of the original ingredients, she can easily find other ingredients and make some more. There’s nothing like having your own bow and arrow to make imaginary play more lively and interesting. 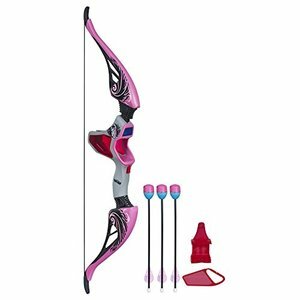 Nerf Rebelle’s Agent Bow Blaster Pink Deco has the mechanism of a real bow, so it’s a greaty toy to practice with. Your 10-year-old gets to enjoy a fun physical activity that also tests her mental prowess. 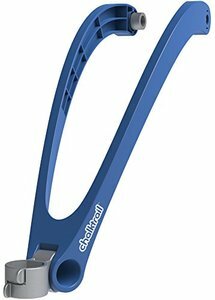 What's Great About It: This is realistic as a bow but ti comes with 3 soft-tipped arrows that ensure safe play. The arrows can also hide secret messages that she and her friends can decode as they play. 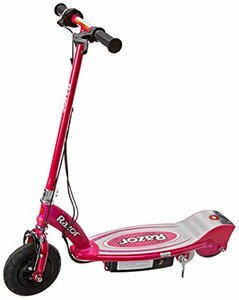 With this great E100 Electric Scooter from Razor, your 10-year-old can zoom past the neighborhood and go anywhere she wants to go in style. The unique thing about this scooter is its “electric” feature, which means it’s battery powered to run as fast as 10 miles per hour, if you choose to use the twist-grip throttle. What's Great About It: The 24-volt battery that this comes with is fully rechargeable, and this only takes 12 hours of your time before use. You would also be happy to know that this battery is UL-certified, wiping away any other possible cause of concern. If your 10-year-old has this Chalktrail from Fat Brain Toy Co., biking will never be the same again. Everywhere she goes, she can create a memorable trail and make her ride more creative and fun. What's Great About It: The chalk is non-toxic and completely washable, so you don’t’ have to worry about making a mess or being unsafe. Also, it can be attached to multiple bike sizes, so there’s no limit to where you can use this with. Welcome to the future. 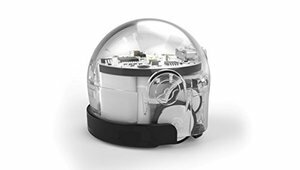 Ozobot 2.0 Bit is an amazing miniature robot that will give your 10-year-old a taste of what future toys could possibly be like. Basically, she’ll get her own robot that she can program to do different tasks and accomplish certain movements. It’s great for imaginative play, but it’s also a great way to teach how programming works. What's Great About It: This may sound like it uses such high technology and unreachable concepts, but it actually runs on very simple programming, and that’s what make it ideal for yoru 10-year-old. With this toy, she can grasp the complex world of programming and robotics quite simply, and she’ll have fun while she’s at it. Sleepovers are such a big part of childhood, we never really grow out of them. 10-year-old girls especially tend to spend more and more time with their friends, so sleepovers can be expected. The Sleepover Party Game from Endless Games is the ultimate kit to have when your young lady is planning to go on sleepovers or invite her friends to your home. This has more than 200 activities, games, stunts, and all kinds of other challenges that will keep her and her friends busy. From truth or consequence to pretend performances, she will never run out of things to do and for sure, this is a toy that she will keep coming back to. What's Great About It: The sheer variety of the challenges in this kit ensures that there’s plenty to keep everyone entertained. The whole family can even join in on the fun. To come up with a shortlist of the most ideal toys for this age, we really had to do a lot of research. The first step was to really narrow down what her most important developmental milestones are, and then pick toys that fit that. We also had to make sure that the toys were made by a trustworthy manufacturer, from high quality materials and processes that meet the standards. It was also critical to take a look at what the parents have to say, because their experience and testimonials indicate how their children liked (or disliked) the actual toys. We came up with a list of toys that targeted several developmental milestones. The first 12 toys boost the abstract, creative, and interpretative skills of your 10-year-old, as they lean more towards the area of arts, crafts, and even fashion. We also picked educational toys to further her intellectual journey, physical toys to keep her active in this stage of early adolescence and puberty, and a few toys to help in her social interactions with friends. As she enters into the early adolescent years and hits puberty, your 10-year-old will encounter many physical changes with her body. She will start developing proportions that are similar to adults, and even grow in height and weight in proportion to boys her age. She will also have developed full control of her small and large muscles, so she is able to enjoy activities that are more physically demanding and which require endurance. She may also begin showing an increased interest in a certain skill or sport instead of just a general desire to be physical. You will notice that your 10-year-old can converse with you as easily as an adult can, and she can do the same for people of all ages. Her speech patterns will mimic that of an adult, and at this point she can even create her own special lingo. She will have many stories to share, but she also needs to continue broadening her vocabulary and improving her communication skills further. Intellectually, this is the marked beginning of abstract thinking and interpretative or inferential abilities. They now have an increased understanding for abstract thought, and they seek whatever can help them explain the complex phenomena that surround them. They are also more equipped for logical reasoning and critical thinking, and you’ll be surprised at their ability to view the world beyond their personal experiences. Their problem-solving skills are more advanced, and they are curious enough and knowledgeable enough to test various hypotheses that help them make sense of the world. That said, your 10-year-old is also now more meticulous and detail-oriented than ever before. In terms of social and emotional development, early adolescents have a strong group identity and value their friends a lot. They hang out with their peers more often because they also identify with them. This means this age is still ripe for creative and cooperative play, as well as a little friendly competition. You have to note though that this is also the stage where their values and beliefs will be tested and shaped, forming her personality into what it will be as she blossoms into an adult. The 10-year-old mark being such a critical one, it’s really important that the toys that you get are age-appropriate. It’s an opportune time to use toys to the fullest, and this is why it’s important that you pick the right ones. With this comprehensive and well-researched guide, you’ll be able to do so.